Today I am going to show you how to install a new game and at the same time learn how to install other programs on your Raspberry Pi. There are a plethora of educational, graphics, Internet and even games out there that you can easily install once you learn what I am going to show you today. The best part about it is that they are free! In the top left is a search box, where you can enter the name of a program you’re looking for, or a phrase such as “Frozen” to explore what’s available. On the left are categories you can click to see your options. The main pane shows you the packages, with a scrollbar on the right that you can use to see the full list. Those that are already checked (or ticked) and shown in bold are already installed on your Raspberry Pi. You can click a package to see its description below. To select a package for installation, tick the box beside it. To remove it, untick it. In this example you will see a checkbox for the Frozen Bubble Game. The menu ensures that any applications that your chosen application requires also get installed. When you install the game Frozen Bubble, for example, the menu automatically installed its separate data package for you. Your software is now installed! You should be able to run it either from the shell by entering its name (for example, Frozen-Bubble), or through your Applications menu in the desktop environment. “Frozen Bubble” is a simple but highly addictive game involving knocking down clusters of frozen bubbles. The bubbles come in several colors, and strategy involves getting as many bubbles down as possible with each shot. There is no violence, horror or innuendo anywhere, and you can make new levels with a simple text editor (like vi or Notepad). Logo for ‘Frozen Bubble’ The game is Open Source (GPL) and is written entirely in PERL, so you can inspect it, learn from it and change it if you wish. I have been working at learning a new program called Asciinema which will allow you to record Terminal sessions and share them on the Internet. For someone like me that wants to share everything that I learn with you this is an extremely valuable tool. I am excited to introduce you to this awesome program. Asciinema is a fast, light-weight and open source Terminal recording tool. Asciinema not just records your Terminal activities, but also helps you to share them on the web if necessary. You can share the recordings by copying its URL and sending it to a friend or posting it on a social network. It is easy to use and in just about 10 minutes you will be a pro at using it. The online trainers can record and share the Terminal session when teaching Linux commands to the students. The students can share their Terminal activities to their online tutors when they have been given a command-line assignment. The junior admins can record and share their Terminal activities to the remote technical support or subject matter experts when looking for help. Technical writers or bloggers can record the terminal activities and use them while writing a book or blog post. The possibilities are endless. Whatever it is, when it comes it to record a terminal session, Asciinema comes in handy! In this guide, we’ll be discussing how to install Asciinema in Mint and Raspbian and how to record your Terminal sessions using it. Also, we will see how to share the recorded terminal sessions on the web. The good thing is the developers have packaged asciinema for almost all Linux distributions, and it’s available in the official repositories of many Linux distros. I have installed this on both Mint and Raspbian with excellent results. Once you run the above command, you will see the following output. ~ Hit Ctrl-D or type “exit” to finish. Now, your Terminal activities is being recorded and saved in the file called “test” in the current working directory. Let us type some random commands. That’s enough. To finish the recording, press “CTRL+D” or type “exit”. When the recording is ended, you will see the following message. You can copy and paste directly out of this window. Since we didn’t specify filename for the recording, you will asked to upload the resulting recording to asciinema.org website, so you can share it to your friends or social media or add it to your own blog/website. Just share it to your colleague or friend or whoever wants to view your Terminal session in their web browser. Or, you can view it on your own browser itself. Once your friend entered the above URL in their browser’s address bar, they can be able to see your recording. To learn more you can check out the https://asciinema.org/ website. 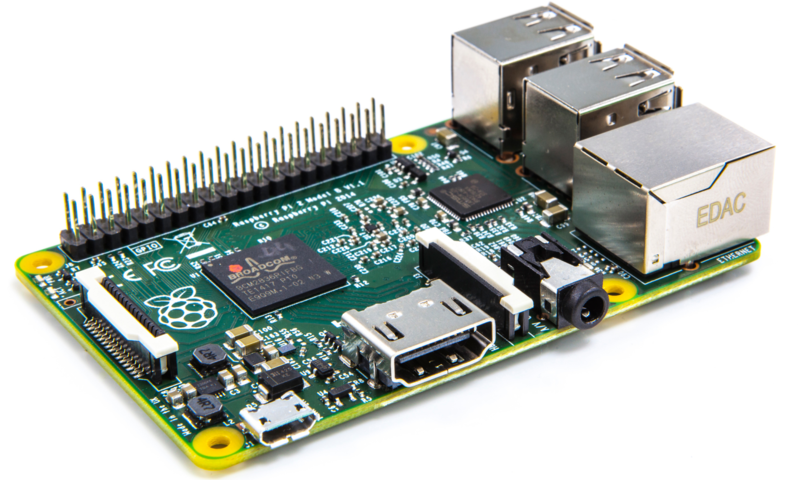 It is a small community right now but I believe that if enough people that use the Raspberry Pi’s with the Raspbian system that this will become a vibrant community. I will be using Asciinema as I believe this to be a great teaching tool. Share this with your friends so we can all benefit from this unique way of sharing.